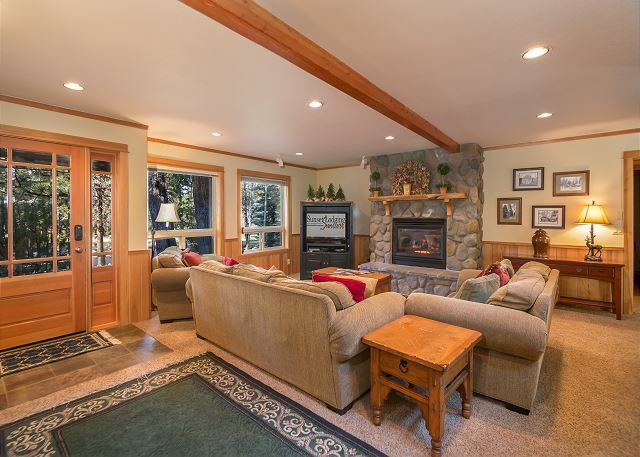 Make it a dream vacation in this luxurious 5 bedroom Sunriver vacation home. 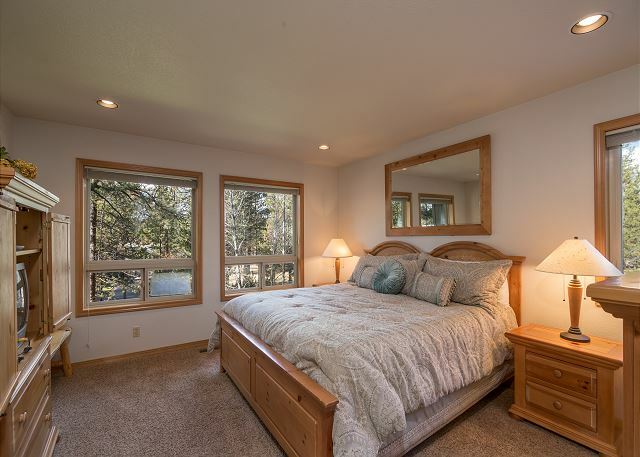 This impressive home has 3 master suites, perfect for a multi family getaway and pets are welcome! Blue Grouse #4 is a 5 star vacation home with a den and 4 bathrooms. 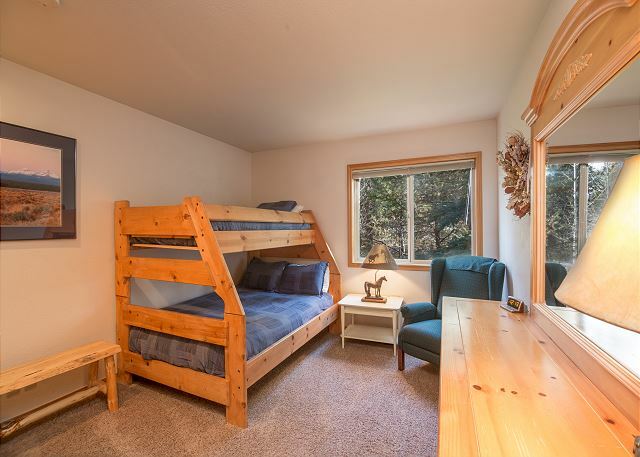 2 of the bedrooms include a king bed, 1 bedroom has a queen bed and the other 2 bedrooms are equipped with a set of twin/double bunk beds. There are also 4 Roll-A-Way Beds that can be used. 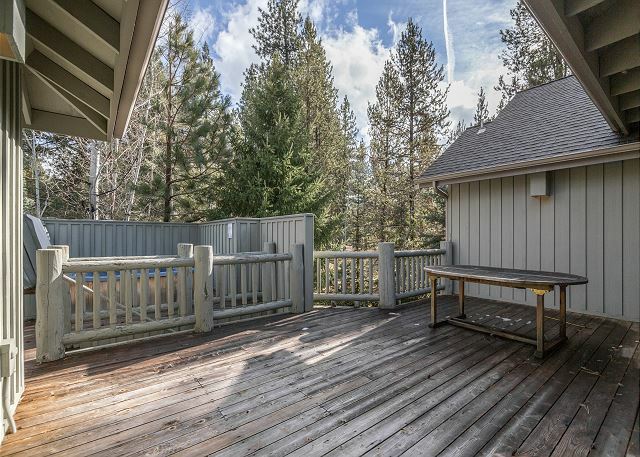 This first rate, 2 level vacation home has a private hot tub, pool table, 9 bikes, gas BBQ, double garage and a private hot tub. 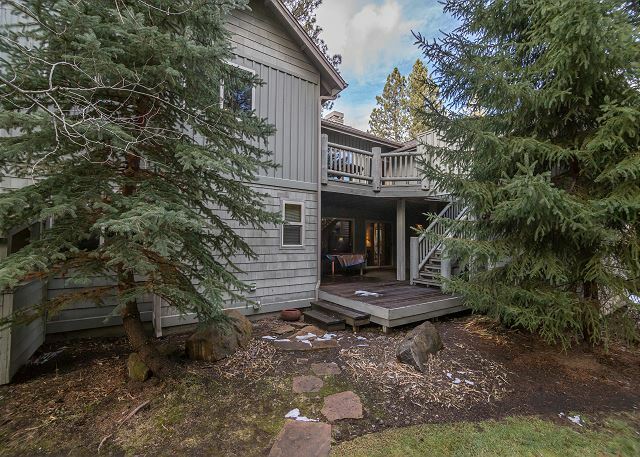 Blue Grouse #4 is located within 100 yards of the Deschutes River and minutes away from the Sunriver Village Mall, Sunriver Lodge, & SHARC Aquatic Facility. 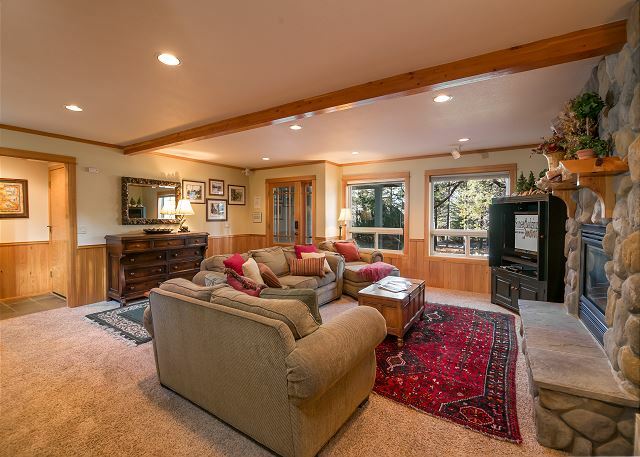 This home provides 12 Unlimited SHARC passes, free tennis and free access to the Sunriver Marina. 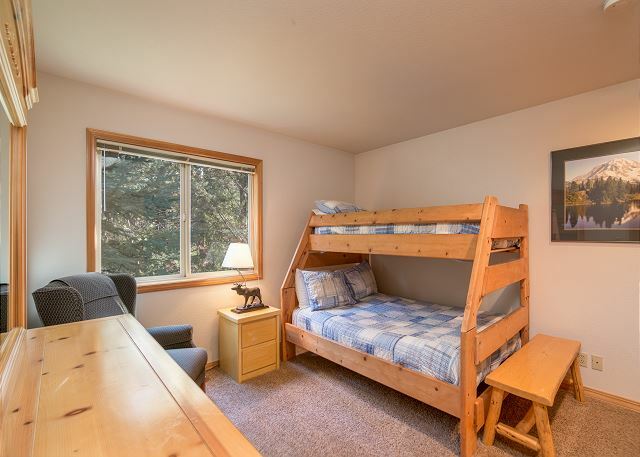 2 Kings, 1 Queen, 2 Twin/Double Bunks, 4 Roll-A-Ways, 3 master suites, 4TVs/4VCRs, microwave, D/W, W/D, HOT TUB, pool table, canoe, fireplace, 2 levels, 9 Bikes, gas BBQ, double garage, located within 100 yds. 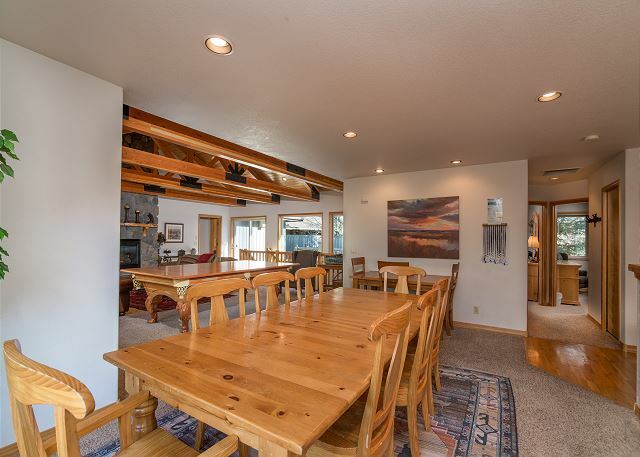 of the river, 3184 sq ft, 5 Star, 12 Unlimited SHARC passes. Closest location to the river made our stay wonderful. We brought our own canoe, and there is one in the house. We love biking, jogging, walking, swimming, playing tennis and enjoyed all of this in close proximity. The microwave and management promptly brought us a back up. Very clean space, with all you need in the kitchento barbecue and prepare food for the 12 of us. One complaint: the upstairs screen door does not function properly. This invited flies & a few mosquitoes. Thank goodness there was a flyswatter. Everyone really enjoyed the pool table also. 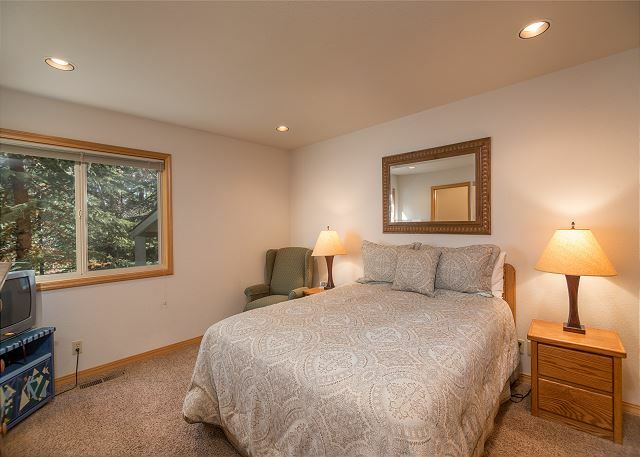 The two downstairs bedrooms are pretty quiet for those who retire earlier. We appreciate the extra roll out beds. 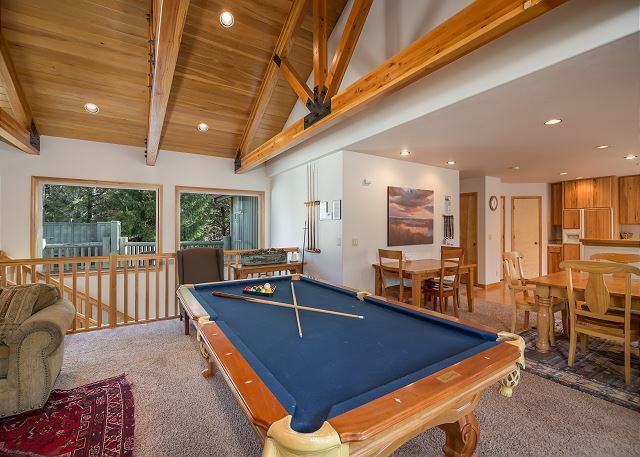 This house is great - Pool table makes it a lot of fun and hot tub is nice too. 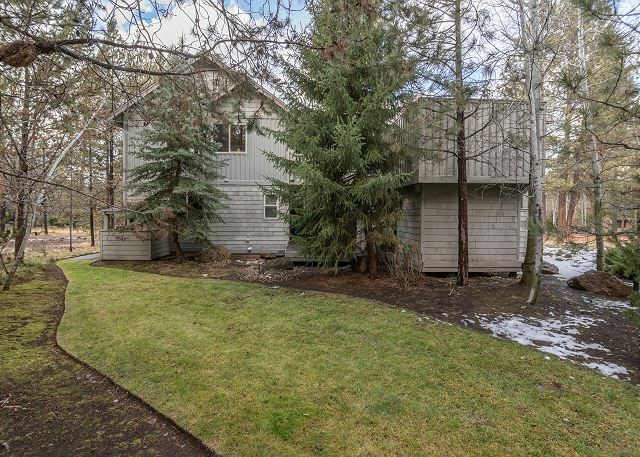 Thank you for visiting us in Sunriver at Blue Grouse 4. 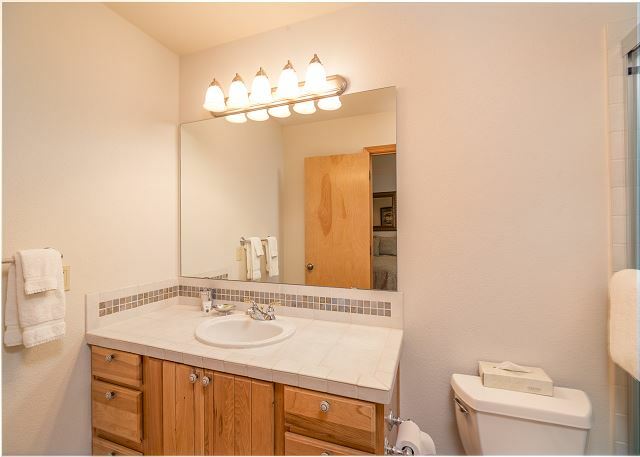 We agree that the amenities at this home make it a great place to spend your vacation. We hope to welcome you back to Surniver soon! 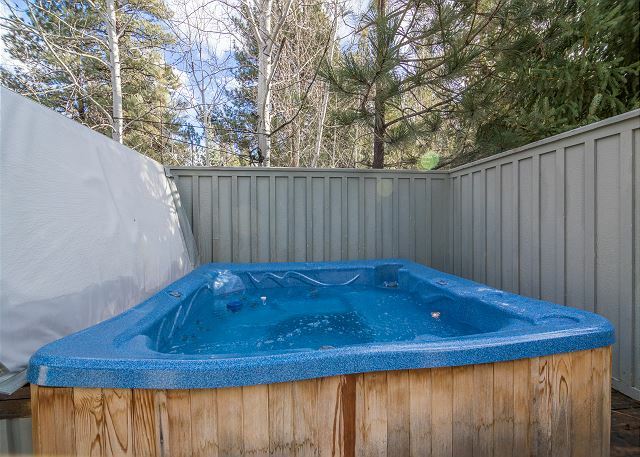 Only gave 3 stars on the general condition, because the hot tub buttons were extremely hard and impossible for some to use. It needs fixing.The house was great and we will rebook for next year. Thank You for your review! We are so glad to hear that you enjoyed the home so much that you are already thinking about next year. We will check with the hot tub co. to see if anything can be done about the buttons making it easier. See you next year! Beautiful home, great location! Only a few minor hiccup was the grill, it was unusable. Needs replacing or a massive cleaning. The check-in was difficult as well. A number of our party arrived a few hours early and the rental company refused to let them in early, not even to put food in the fridge. Other than that it was a wonderful stay and we enjoyed this home immensely! Thank you for your review Jeanne, we will let our housekeeping department know about the grill and have that fixed. We apologize for not being able to provide an early check in. Summer is our busiest time of year and we almost always have back to backs. Having someone checkout the day you check in and getting in cleaned, sometimes makes it hard to allow for an early check in. Thank you for understanding and we hope to see you soon. The house was the best we have ever rented. Would go back in a heartbest. Thank you for your review Steven! We are glad you enjoyed your stay at Blue Grouse #4 and can't wait to have you come back and join us in the future! The location was great, the accommodations were great. Would love to return and would recommend to friends and family. For large groups as ours (13) a second refrigerator, possibly in the garage would be great. The management staff was a joy to work with. Thank you. Thanks so much for your great review Karen! We are so happy to hear that you had such a great family reunion in Blue Grouse 4. We will forward your suggestion to the owners regarding the second refrigerator as well. Hope you visit us again soon! Family Reunion trip to kick of Summer 2017! We had our annual family reunion trip in Sunriver this year. This house fit our requirements very nicely - location, amenities, etc. The paved walk/bike path is steps away from the front door. Our stay was the first week of June before the summer crowds arrived. The paved bike trails, SHARC, nat'l parks, etc. - all empty! The weather ranged from the 60's to 80's. Access to bikes (various sizes) and SHARC passes included in the rental were a huge benefit! Our only regret was not having enough time during our stay to get the canoe out on the Deschutes River. We are so delighted that you had such a great stay! Thanks so much for the review Catherine! We hope you visit again soon. We had a great time with our closed friends. All of us are parents and just needed some time to re connect with out all the kids. For most of us it was our first time taking time to be adults again not just parents. Hi Amanda! We are so happy that you enjoyed your kid-free weekend! Sunriver is always a blast for all occasions. Thanks for the great review! 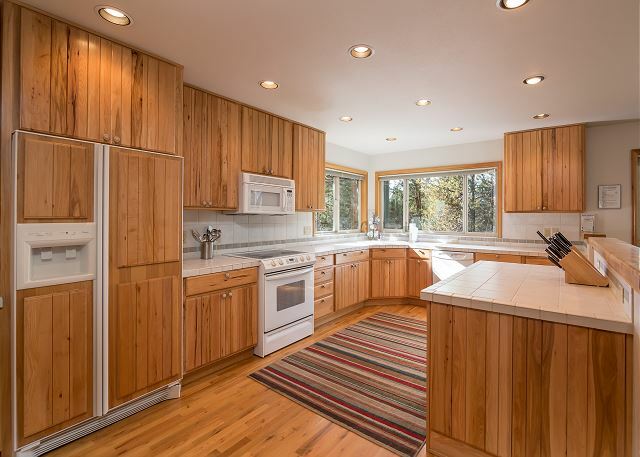 Home was in good shape, close to river, only negative is that the home is kind of far from Sunriver Village, long bike ride for kids. Very close to, and more importantly has access to the river, which was very nice. Three families had plenty of beds and room. Management company was great, responded to a repair literally within minutes! 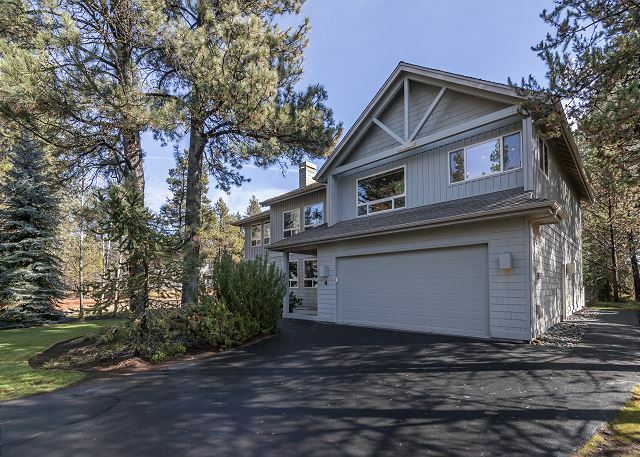 We've been vacationing at Sunriver for about 27 years so we've stayed in several homes. 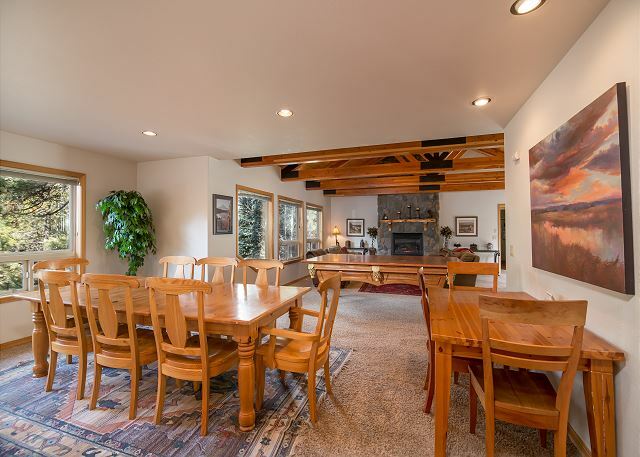 This home was very large and well equipped and was one of our favorites. We would love to stay in this home again! A perfect place for our extended family vacation. Our family of 14 (9 adults and 5 kids under 7) enjoyed 7 nights at Blue Grouse 4. It was perfect in every way. The home was clean and spacious. The bikes, canoe, golf clubs, and 4 tennis rackets were all in good working order. The hot tub was welcome after a chilly float down the river. The only improvement would be an instruction guide for changing channels on the TV. Fortunately it was set to the Disney Channel, so the young kids were able to watch their shows while the adults played table games. Our family absolutely loved our stay here. This is such great news and feedback Joseph. We DO get a lot of calls about remotes, so we will try to formulate an instruction card of some kind for the home. We hope to get the privilege to host you at Blue Goose 4 again soon! This is our third or fourth year at this house. It is naturally showing some signs of wear. Except for the master bedroom the beds are quite uncomfortable. New mattresses would be in order. Thank you for your feedback Connie and we are so glad to have you as Blue Goose 16 Regulars! We'll take a look at that mattress post haste. We are looking forward to your next visit! This home was a perfect place for our extended family of 10. We were in awe when we walked into the home. We felt like we had walked into the perfect home for our vacation. Beautifully decorated, comfortable, lots of space to spend time alone and lovely outdoor space to enjoy the grounds. The kitchen was well organized and very clean. We had all our meals there and some were gourmet!l. Great location for us as it is close to the bike trail but away from congestion. Enjoyed the hot tub. Awesome place! 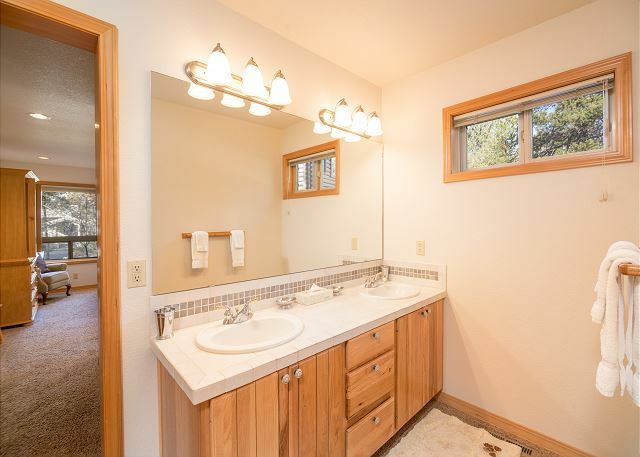 Plenty of room for multiple families, nice hot tub, pool table, etc. Nice kitchen and BBQ for burning some meat to go along with the collected microbrews of the day. Would definitely stay here again! We took all of our kids, spouses, and grandkids to Sunriver for Christmas. Fabulous time! Having the tubing run, Sharc pool, and 3 feet of snow made it especially fun! This has been the BEST Christmas any of us can remember in a long time. Let it be a sign of good things to come!! Merry Christmas and Happy New Year to the whole Hazleton family! We hope you can get back to Sunriver soon! This is truly an outstanding residence. We thoroughly enjoyed our stay, and used the pool table a lot. The only issues we had was that the hot tub needed servicing we believe, and the air conditioning seemed to want its filter changed as well. Otherwise everything worked and was in great shape. Thanks Joseph!! We'll check out the A/C and hot tub. We are so grateful that you had a good time at Blue Grouse 4 and hope you'll be back for another Sunny Sunriver getaway soon. An extremely nice place for a family reunion. Connie, we really try hard for our visiting families, and we are so glad that Blue Grouse (definitely a family FAVorite!) worked well for you! 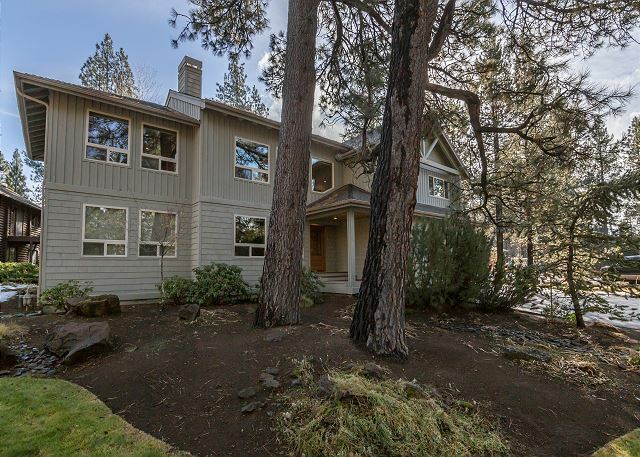 We hope you'll come again soon, as Sunriver seems to just keep getting better and better! Don't forget about cozy nights by the fire, or in the hot tub when the snow is falling! Winters rock in Sunriver!! Great house for families! We had a group of 3 married couples, 1 single adult, 8mo old and dog. 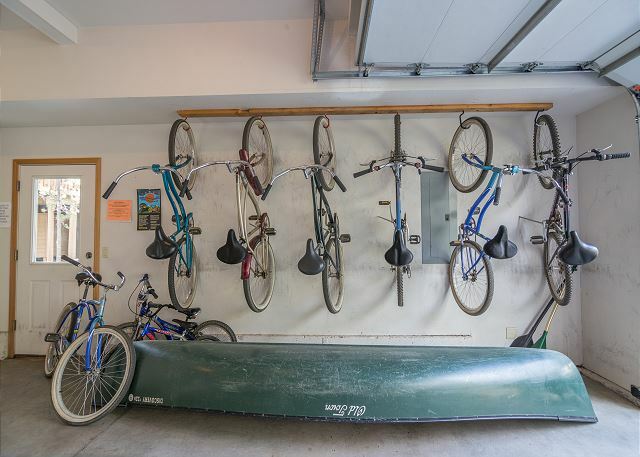 We were able to walk the canoe over to the river and put it in,they had several bikes to use along the trails also.The house was stocked with extra tp,paper towels,garbage bags,shampoo/soap and hair dryer, lots of beach towels too. We did not have instructions for wrking the hot tub so I would recommend that! It wrked but had issue with the buttons and getting the jets to turn on/off. The Sharc passes to the pool were great to have! 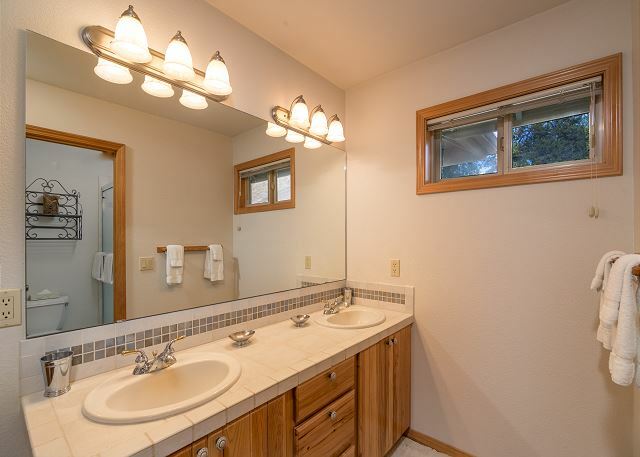 We were afraid that the house would have a pet odor but no one in the group thought it did.The house is a little further away from town then we thought, traffic pattern of roundabouts in the development is confusing but you finally get it down. We had a problem with the gas grill starter, called the office and someone came out right away! Roberta - this is SUCH great news. We've been talking a lot about families and family time lately. We have a whole subset of visitors that came to Sunriver as kids and are now carrying on that tradition with their own families. As a family run company we just LOVE hosting families and because we are raising our kids right here in Sunriver, you can bet that everything is kid-tested, dad-inspected and mom-approved! 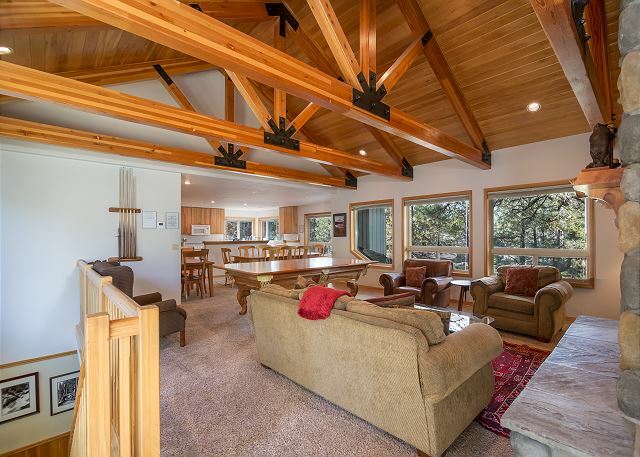 With SO MUCH good, healthy family fun to have in Sunriver, we hope to always be the go-to getaway spot for everyone from Baby to Grandma to the family pets. 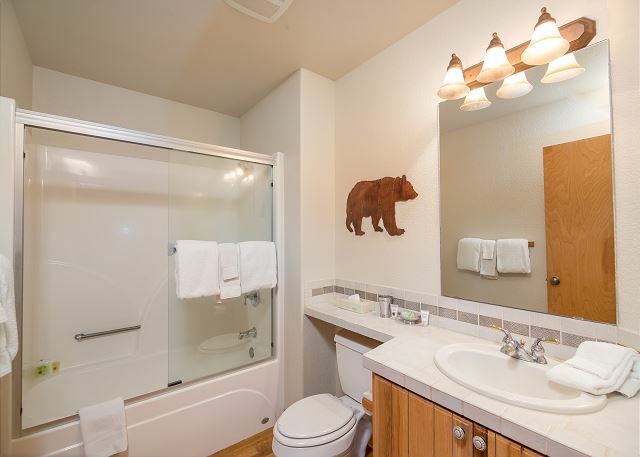 We've got such a great selection of larger homes to accommodate big families too. We hope to see you and the whole Poss crew back soon! Lots of room in this house. It was very nice. We were looking forward to using the canoe however it was too large to fit into our truck - we tried but it just wouldn't work. Otherwise besides one of the wood chair breaking when my husband sat on it - pretty sure the carpenter ants had chewed it away - and the dishwasher not fitting correctly it was a wonderful stay. We loved this house. It had plenty of everything from beach towels to casserole dishes. Lots of silverware and fry pans. We enjoyed the bikes and the canoe. The only thing we had complaints about were the beds. Downstairs queen beds were very hard. An addition of a memory foam topper would do wonders. The Bunks were ok, but not great. Otherwise, we loved this house. It was roomy and nicely decorated. AND, it has air conditioning which was great on our 90 degree days. We are glad you have found a home that you enjoy coming back to. We will let the owners know of your request for deck chairs. We come here yearly with the family. The house is ALWAYS in perfect shape, very comfortable, and just perfect for us. We will continue to come here for many years to come. We always look forward to seeing you! Thank for staying with Sunset Lodging! Actually we upgraded to Mink lane#4 and we loved it! The management was so friendly and quick to respond to any of our calls! We had a really great Christmas and intend to come back next year! The house was fantastic, except for a few minor maintence problems, which can happen to anybody, the stay was fantastic and we had so much fun! The only thing that could of been better was a nice new "snowfall" for Christmas! But who can change was all good! Thanks so much Sunriver! We are so glad you enjoyed your stay, hope to see you back again next Christmas!